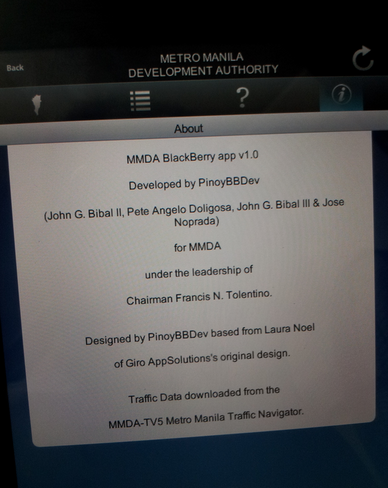 MMDA App for BlackBerry PlayBook, Out! Free! Download Now! Everywhere I go, I always say that some of the best app developers in the world are Filipinos - among other things, that is, in praise of my countrymen. Not only is it totally useful, it also looks really good. 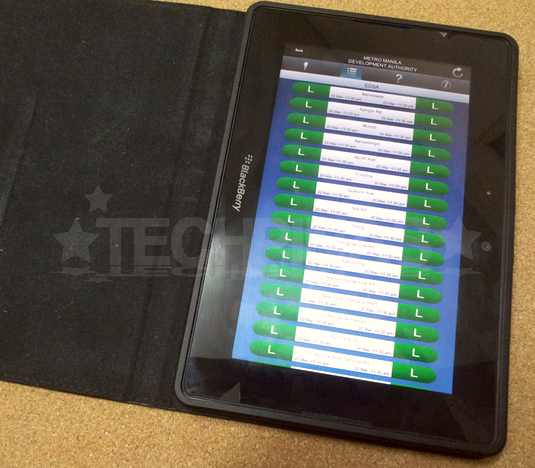 If you also own a BlackBerry PlayBook, you can get the application for free via BlackBerry App World. 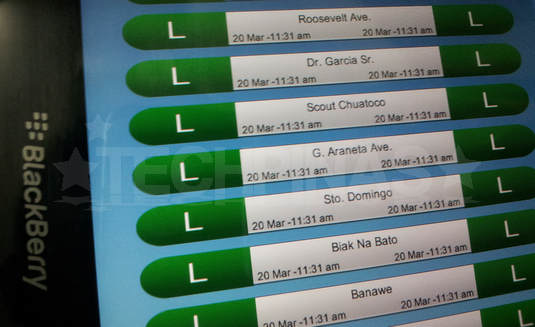 MMDA App for BBPB helps you easily navigate your way through the main thoroughfares of the nation's capital by giving you real-time traffic situation in areas like EDSA, Espana, C5, SLEX, Roxas Blvd, Commonwealth, Ortigas, Marcos Highway, Quezon Ave, and Katipunan. It only takes one glance on the Map or System View to see which roads to avoid because of heavy build-up of vehicles or which ones are experiencing light to moderate traffic. Now's a good time to drive along EDSA, it seems. And Quezon Avenue as well. Then again, it's 11:31 in the morning. Tee-hee! 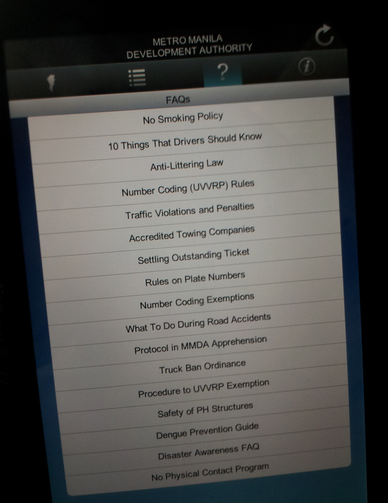 Oh, and also, MMDA app has an FAQ section which contains relevant information all motorists should know like number coding rules or rules on plate numbers, among others. Heck, there's even a dengue prevention guide! Why not?! Motorists are out and about and exposed to all of 'em mosquitoes. 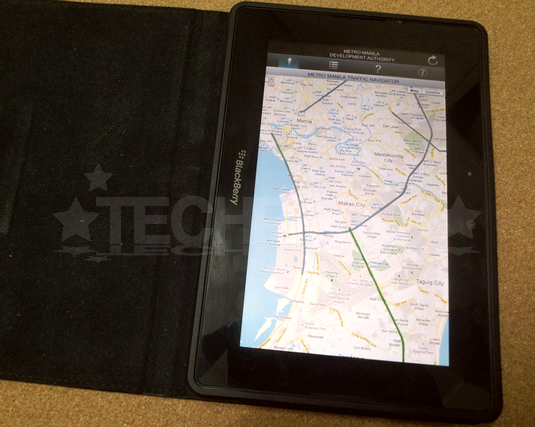 The app was developed by PinoyBBDev for MMDA under the leadership of Charmain Francis N. Tolentino. PinoyBBDev, for those who are not yet familiar with it, is the only Research-In-Motion-recognized developer community in the Philippines. Last December 2011 at the BlackBerry Developer Conference in Singapore, I got the chance to interview John Sibal II of PinoyBBDev where he shared how rewarding it is to develop applications for the BlackBerry platform.